Why there were two very obvious people missing from royal portrait. 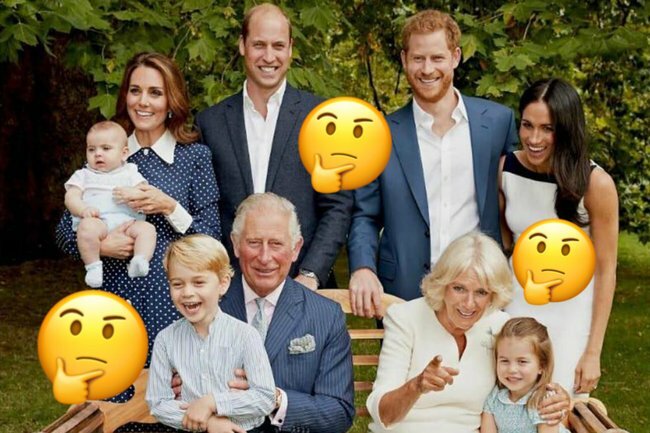 Why there were two very obvious people missing from Prince Charles' birthday portrait. The latest portrait from the royal family is all things good and pure. In the photo, to celebrate Prince Charles’ 70th birthday, five-year-old Prince George sits on his grandfather’s lap, Charles’ hands keeping him still. Meanwhile, Prince Louis and Princess Charlotte showcase their adorable smiles for the special occasion. Where the heck is the Queen? Both the Queen, and her husband, Prince Philip, are noticeably absent. It’s all part of a trend the Queen started after her 90th birthday, when she decided to step back a little bit. She is, after all, NINETY TWO now. While the Queen appears to be healthy, royal correspondent Robert Jobson has previously said in columns in the Mail on Sunday and The Evening Standard that Elizabeth II plans on passing the crown to her son Prince Charles in 2021. “I understand the Queen has given the matter considerable thought and believes that, if she is still alive at 95, she will seriously consider passing the reign to Charles,” a senior former member of the royal household told the Mail. The Queen would be required to invoke the Regency Act, in which Prince Charles would become “Prince Regent”, and act as King in every sense but his title. The Queen would thus be able to pass on her duties without abdicating. The Act was updated in 1937 to allow reigning monarchs to pass the throne onto a regent, as long as they meet a number of requirements, such as being over the age of 21, and are considered to be British. Before this, an Act was created each time it was required. The handover of power could happen “in the event of the incapacity of the Sovereign”, most likely due to illness.